Young adults are getting married later than previous generations. In 1980, the median age for men and women at their first marriage was 24.7 and 22, respectively. In 2018, the ages increased to 29.8 and 27.8, for men and women, respectively. But this delay in marriage isn’t deterring them from homeownership, though. Almost a quarter of millennials say they are postponing marriage until after they buy a home, according to LendingTree’s latest survey. Millennials make up the largest share of homebuyers at 37%, according to a report from the National Association of Realtors. This new LendingTree research suggests that even more of them are preparing to buy a home within the next two years. We surveyed adults ages 22 and older who are thinking about entering the housing market to determine their attitudes and thoughts toward homebuying. Here’s a deeper look at the results. Nearly a quarter (24%) of millennial first-time homebuyers want to own a home before getting married. On the flip side, this means just over 3 in 4 millennial buyers (76%) want a marriage before a mortgage. Additionally, 27% of millennial buyers are postponing parenthood until they’ve achieved homeownership. Among homebuyers of all ages, nearly 2 in 5 are waiting to get a pet until after purchasing a house. First-time buyers often underestimate how long it takes to get to the closing table. Misunderstandings about the mortgage closing process underscore the importance of homebuyer education. Nearly half of first-time buyers believe the mortgage closing process will take 15-30 days and about 14% believe it’ll take less than 15 days. The average time to close is 43 days, according to data from mortgage tech firm Ellie Mae. Most mortgage closings happen within 45 to 60 days. Additionally, just over a quarter (26%) have the required documents necessary to complete a mortgage application. More than a quarter (26%) of first-time buyers have poor credit. Just 15% of first-time buyers have a score of 740 or higher. Nearly 2 in 5 (38%) aren’t satisfied with their credit score, yet more than a quarter of those who are dissatisfied haven’t taken steps to improve their score. By contrast, more than 70% of repeat homebuyers are satisfied with their credit score. Buying a home with bad credit can be difficult, but it’s not entirely impossible. For example, the Federal Housing Administration insures FHA loans for eligible homebuyers with a credit score as low as 500. However, taking the time to improve your score before applying for a mortgage will save you money in the long run. The top two barriers to homeownership are a low income and lack of savings. Nearly a third (32%) of first-time homebuyers say a low income has held them back from buying a home, and another 27% attribute the hold-up to not having enough savings. Other obstacles include student loan and credit card debt, as well as not being ready to commit to a mortgage and settle down in one neighborhood. A majority of first-time buyers (61%) think there’s a shortage of homes for sale. Nearly two-thirds of first-time buyers believe there is a shortage of affordable homes for sale in their area. 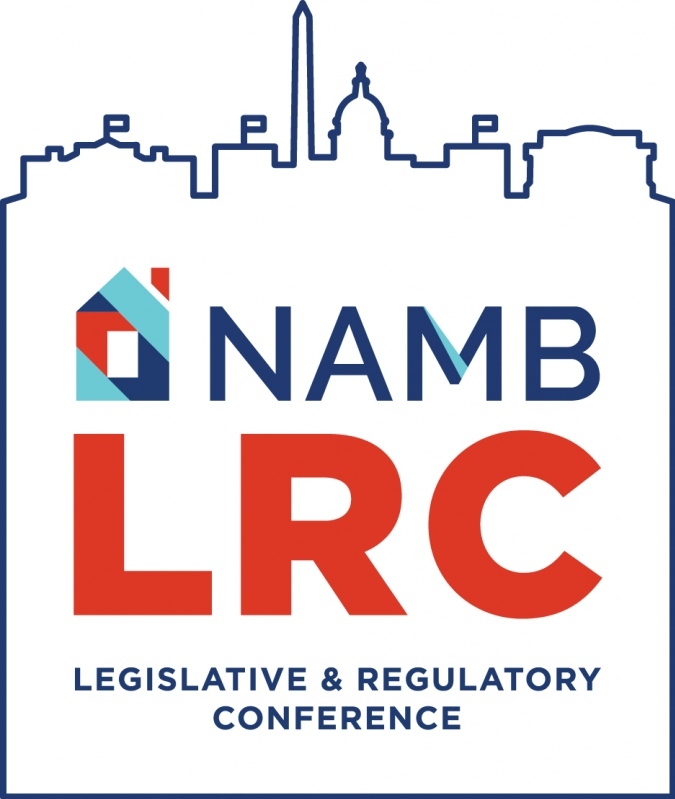 This tracks with an analysis from the National Association of Realtors that reports a continued lack of housing inventory. At the end of February 2019, the latest month for which data is available, there was a 3.5-month supply of homes for sale. A six-month supply is considered a balanced market for both homebuyers and sellers. 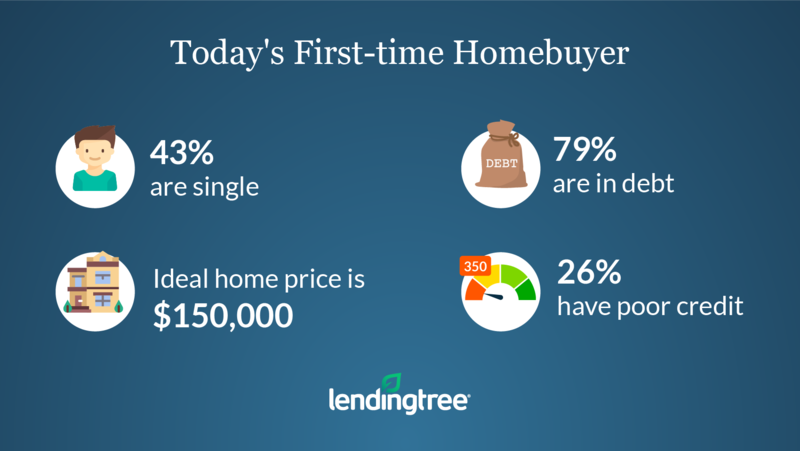 Our survey also found that today’s profile of a first-time homebuyer looks different from the profile of yesteryear. The percentage of single, first-time homebuyers is 43%, and almost half of first-timers are childless. More than 2 in 5 (42%) first-time buyers have credit card debt. The percentage of repeat buyers with credit card debt is slightly higher at 44%. Additionally, the most stressful part of the homebuying process for nearly half of first-timers is finding a home that fits their budget. More than 6 in 10 think mortgage interest rates are too high, which makes it challenging to stay within their budget. This is despite a downward trend in rates over the last few months. The average 30-year fixed-rate mortgage was 4.51% in early January 2019 and has since dropped to 4.12% as of April 11, according to Freddie Mac’s Primary Mortgage Market Survey. Most first-time buyers want a home with a sticker price of $150,000 or less, and nearly 85% would consider purchasing a fixer-upper to cut costs. We also found that 46% of first-time buyers plan to live in their home for at least 16 years.